We design and print cards that reflect your corporate identity. Business cards are often the first impression a potential client gets of your company. You want that impression to be a positive one. That is why the company you choose for your business materials is such an important decision. The first thing to consider when designing a business card is quality. You certainly don’t want to be passing cheap business cards with perforated edges to potential clients and business associates. It is also important to make sure your ink is good quality. 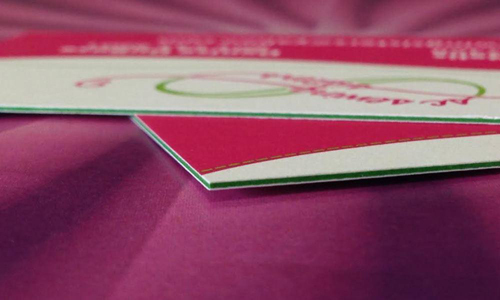 We design and print cards that reflect your corporate identity. On the most basic level, we print basic black and white. For those interested in making a really terrific impression, we offer a variety of impressive services including full-color printing, embossing and foil printing. We can also help you design and print a complete corporate identity package that includes business cards, letterhead, envelopes, business forms and mailing labels. 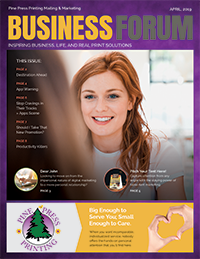 Round out your marketing materials with brochures, banners, postcards, and presentation folders.